A sweet sensation with a couple of bags of sweetie favourites! Chocolate Limes and Humbugs - a real retro treat! 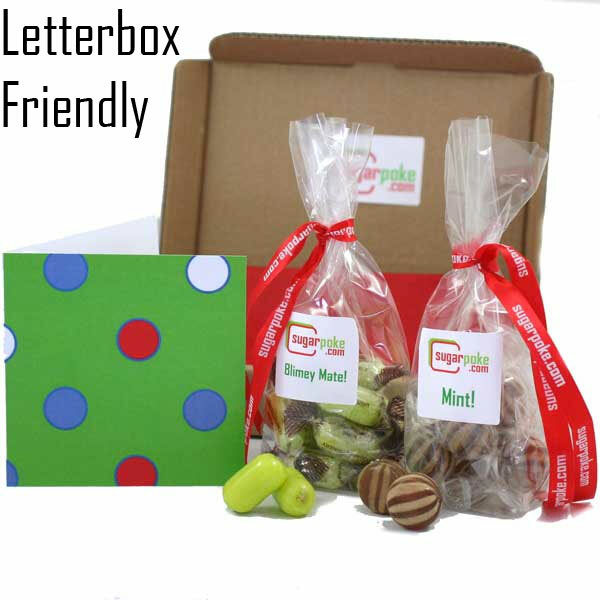 A bag of 10 Chocolate Limes..... with crisp shells of sweet lime sugarpoked with milk chocolate! And, Mint! - 10 traditional minty humbug sweets with a stripy shell and soft middle. A touch of the traditiona,l loved by all, straight from the corner shop - Yum! The perfect way to say get well soon to a poorly friend or relative!